UK CPI Inflation bust through the 2% target, bust through the quickly revised academic economists consensus targets of 2.6% of just last night, onwards and upwards to 2.9%, registering a record rise of 1% and within touching distance of 3% a break of which would trigger the Bank of England Governor Mervyn King to write a letter to the Chancellor to explain why he is not competent at keeping inflation within the 1% to 3% target band, RPI's rise was even more spectacular by rising from just 0.3% to 2.4% in just one month. My earlier article explained the reasons behind today's anticipated surge (UK CPI Inflation Soars Above 2% Targeting a Break Above 3%) so I won't repeat here, instead leave the mainstream press to focus on this AFTER the event. 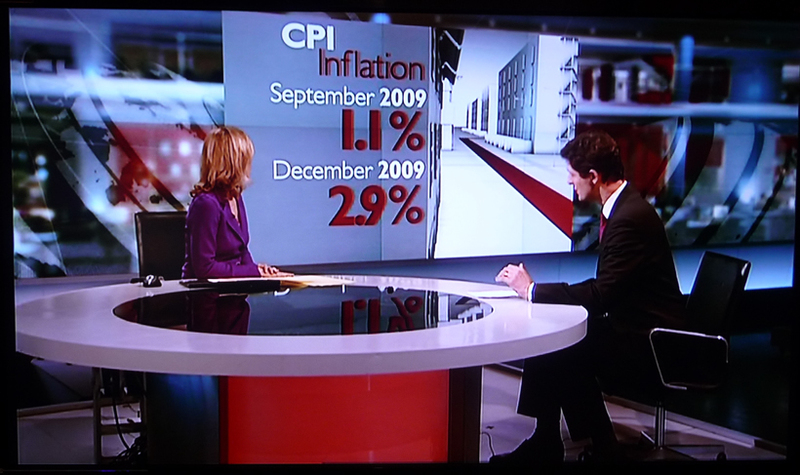 The Bank of England ignited the touch paper towards high inflation back in March 2009 when it embarked upon Quantitative Easing, or as I referred to it as Quantitative Inflation back in March 09. The consequences of rapidly rising inflation means that the Government and the Bank of England lose control over the levers of power, i.e. are forced by the market to take urgent and usually drastic action to bring inflation under control as the ultimate consequences of not doing so is for a panic flight of capital out of British assets culminating in a currency crisis and debt crisis as the cost of servicing debt held by foreigners soars due to the fall in the exchange rate, much as Iceland experienced following its own collapse last year. Therefore today's inflation data should send a strong message to the Bank of England to wake up and smell the coffee for the consequences of doing too little too late to address inflation would result in losing control of monetary stability without which the economy would collapse. The purpose of money printing was to monetize the huge government budget deficit that has ballooned to an annual £180 billion i.e. nearly 30% of the annual government public sector spending budget. This is not sustainable and urgent action has to be taken to bring the budget under control by means of tax rises and deep cuts in public sector spending as the consequences of not doing so are highly inflationary as we witnessed with today's record surge in inflation. As inflation rises therefore the interest rates the market demands rises which means that the VALUE of the Monetized Debt FALLS. I.e. the unprecedented amount of Gilts that the Bank of England has been so happily lapping up over the past 9 months totaling some £225 billion is LOSING VALUE perhaps in the region of £3 billion so far, and as more debt is monetized so will fall the value of purchased debt and hence resulting in more money printing, therefore contributing to the inflationary debt interest cycle towards hyper-inflation. The key component that one should be watching for is WAGES, as a key element of an inflationary spiral is the wage inflation spiral. As the workers of Britain watch inflation break above 3% and STAY above 3% then there will be ever greater demands for higher wages therefore feeding into higher prices and hence the inflation spiral. This sets the scene for 2010 to be a panicky year for the Bank of England as it attempts to prevent a wage price spiral from taking off that would manifest itself in even higher inflation rates during 2011. 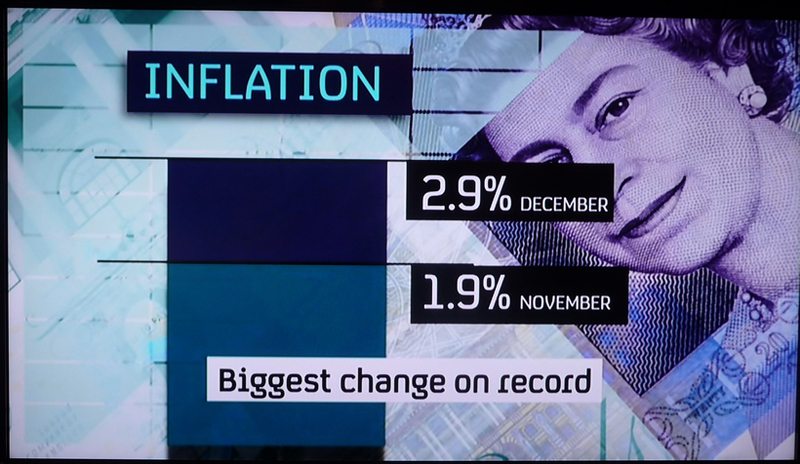 An avalanche of inflation stories has hit the internet, print and broadcast media on the news of the sharp rise in inflation that virtually all now in unison imply that inflation will break above 3% CPI, which is rather obvious given that the rate is now standing at 2.9%. Though none of which was apparent at the time of my original forecast of 27th December 2009. The press is now running with stories of how investors and savers could protect themselves from the rise in inflation AFTER inflation has risen and the money market interest rates have responded to the surge in inflation. It's a pity their readership never got the opportunity to act much earlier before the event which requires precise and certain conclusions rather than the practice of mentioning multiple outcomes within an article then the journalist / wannabe economist picking the paragraph that most accurately fits what has subsequently come to pass, perhaps an in depth analysis is in order of the the flip flop conclusions of the big name journalists / pseudo economists. My next article will seek to analyse how pubic sector spending will be cut, as both parties whilst having made loud noises have so far only published token cuts that do not go far enough.